Rob Stubbins has the team and expertise in place to complete your home repairs, enhancements and additions safely and in a timely manner. Homeowners call on us every day for small and large projects, like making those unsightly wires to the flat screen TV safely disappear inside walls. Hot tub connections, ceiling fans, outdoor lighting fixture installations and troubleshooting GFI circuits in the home are all jobs we perform to make your life easier and your home safer and more attractive. Nest thermostats can be more of a challenge than they appear. Call on us and we’ll get it installed properly and safely so you can enjoy all the benefits of this amazing technology. Have a generator that needs repair? We service, install and repair all makes and types of generators. We perform preventive maintenance as well as unexpected maintenance and repairs when your generator just doesn’t want to start when you want it and need it. We can set you up on a schedule to periodically test your unit so you will always know you’re safe and sound in an emergency. Pictured above: Before & After. 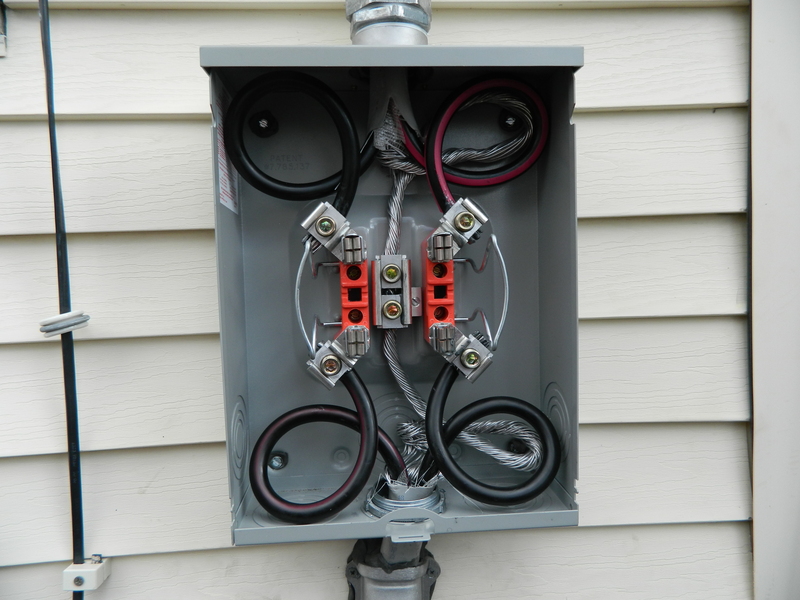 Overloaded breaker panel on left had unsafe wiring added over many years by homeowner. 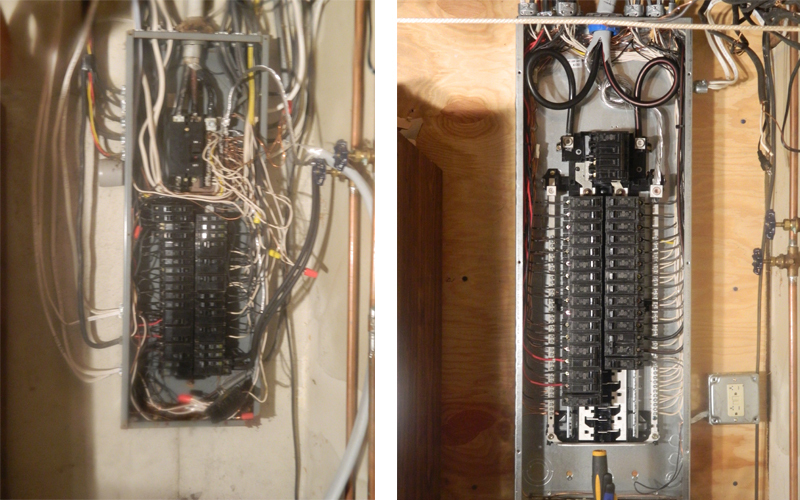 We replaced it with upgraded panel on right. 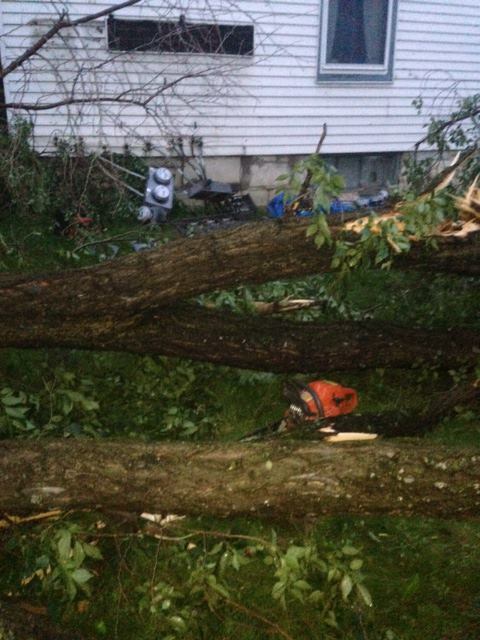 Violent windstorms knocked down this tree and took 6 electric meters with it. Our emergency service personnel got them back in service. This is a replacement housing for a smart electric meter that was needed due to original box being damaged beyond repair and unable to accept the new meter.